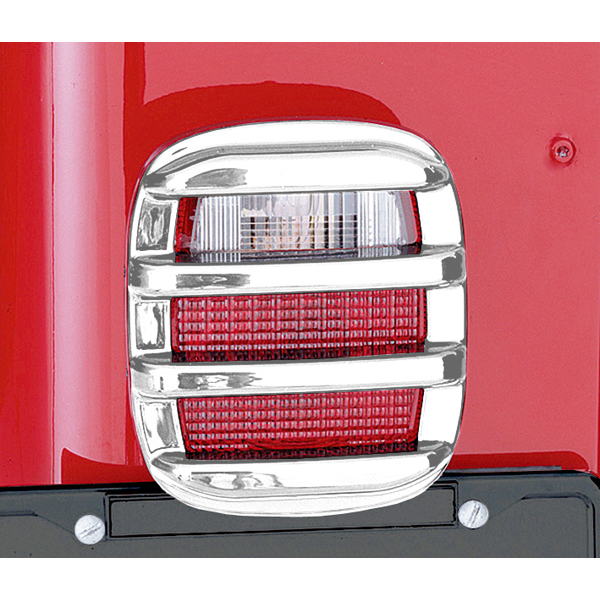 TAIL LIGHT GUARD SET, CHROME, 76-06 CJ/WRANGLER - Jeep Parts Guy - All the Jeep Parts You Need! Complete the great look of your Jeep with these easy to install Taillight Guards. They are easy to install with double sided automotive grade tape. Sold as a pair. Sold as a pair.